There are 940 Saturdays between a child’s birth and his leaving for college. If your child is 10 years old, like mine, you only have 420 Saturdays left. Scary, right? Saturdays are sacred but sometimes it can be a challenge to find things to do that your kids actually want to do with you. 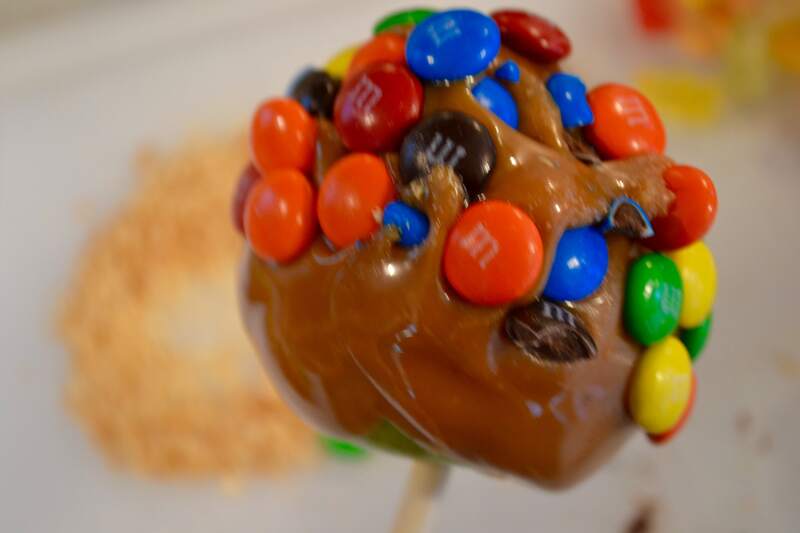 Making caramel apples is a great thing to do with kids because it takes zero prep time, it allows them to use their creativity and they love it. 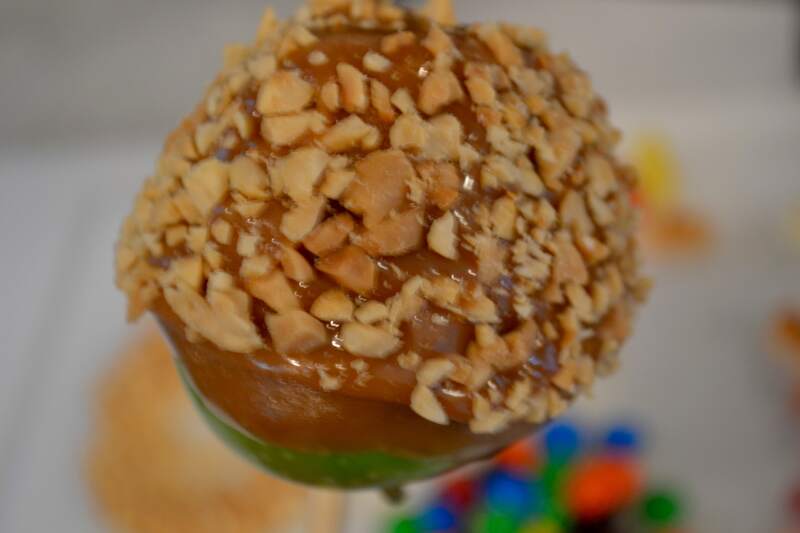 Shocker- my son Luke actually chose to make caramel apples with me over going to the batting cages last Saturday! Seriously. He was even more thrilled when I said he could invite his neighborhood friends to join in the fun. 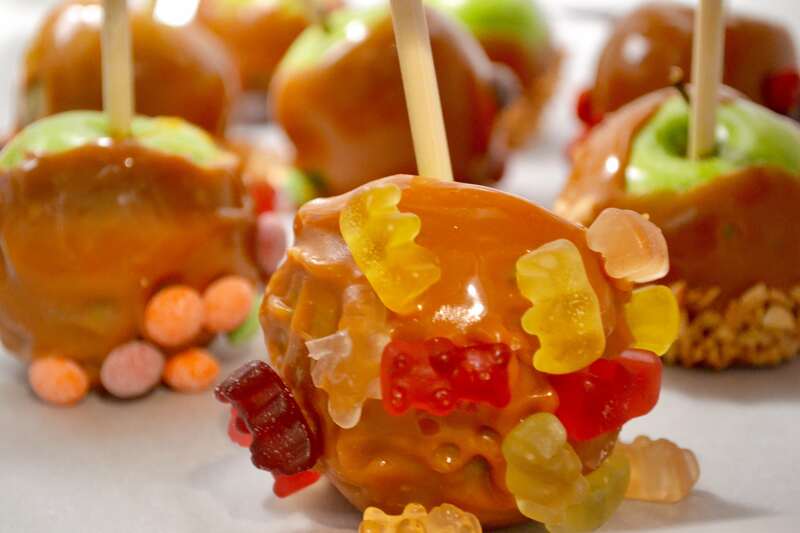 Halloween season is the perfect time for making caramel apples because rather than letting your child eat all of the candy they bring home from trick or treating or worse, throwing most of it away, you can crush some of it up and using it for fun caramel apple toppings. 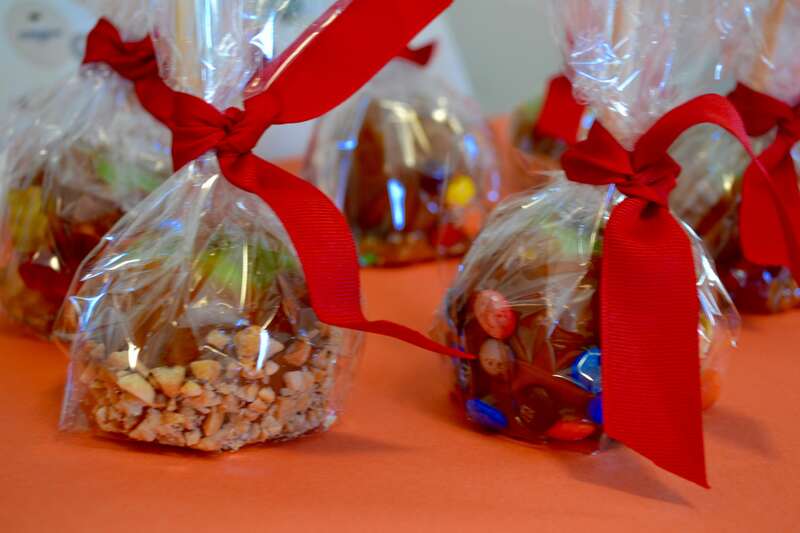 Caramel apples serve as great gifts for friends, co-workers and neighbors too. We wrapped up a few for one of our neighbors. Gather the ingredients: If you don’t have a bag of caramels or any parchment paper lying around, a quick trip to the grocery store is in order. This is one way we involved Dad. It’s one less thing for you to do on your busy Saturday if you can send your husband out to the store to buy the caramels and any toppings you might be missing that did not come in the halloween candy trick or treating spree. 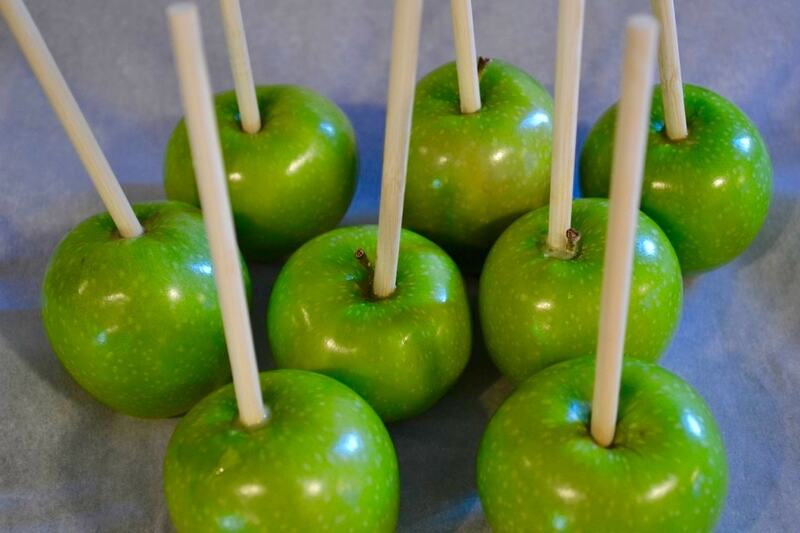 Assign Responsibilities: Each child can participate in some aspect of the process from hammering in the wooden sticks to washing and drying the apples, to the dipping and decorating. 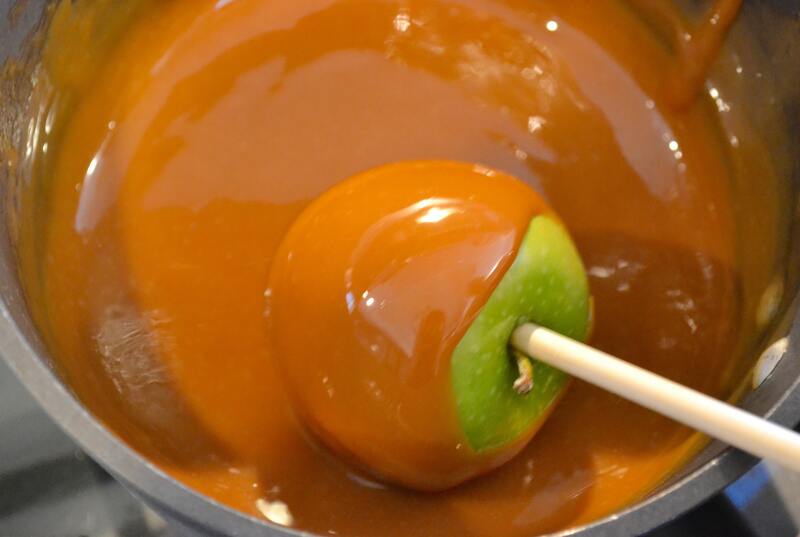 In our case, Luke and his friends helped peel the wrappers off the caramels, one of them helped stir the caramel, another helped organize the toppings on the cutting board, and all of them got to roll their apples in the caramel and the toppings. Clean Up: cleaning up most DIY activities with kids is a lot of work. Not so with this activity. Simply throw away the parchment paper, rinse off the cutting board, wash out the saucepan and put away any leftover candy. 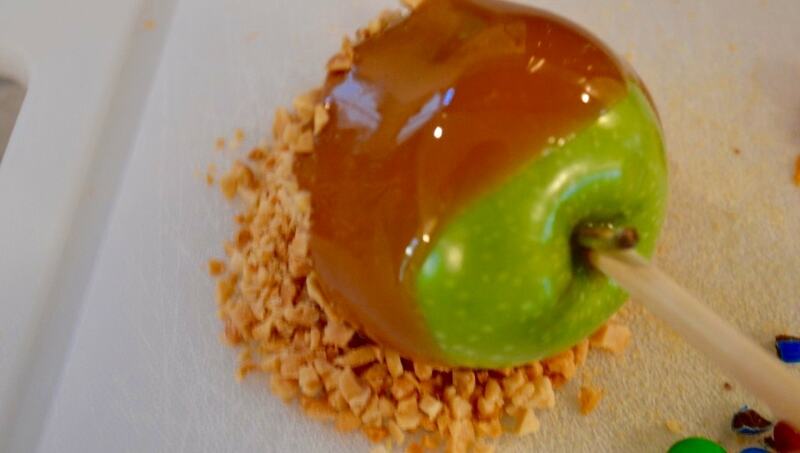 Below is the simplest way I’ve found to make fun caramel apples. It doesn’t take a lot of time, we were finished in about 20 minutes, but it is quality time your kids will remember. wash and dry apples and insert wooden dowels in place of stems. 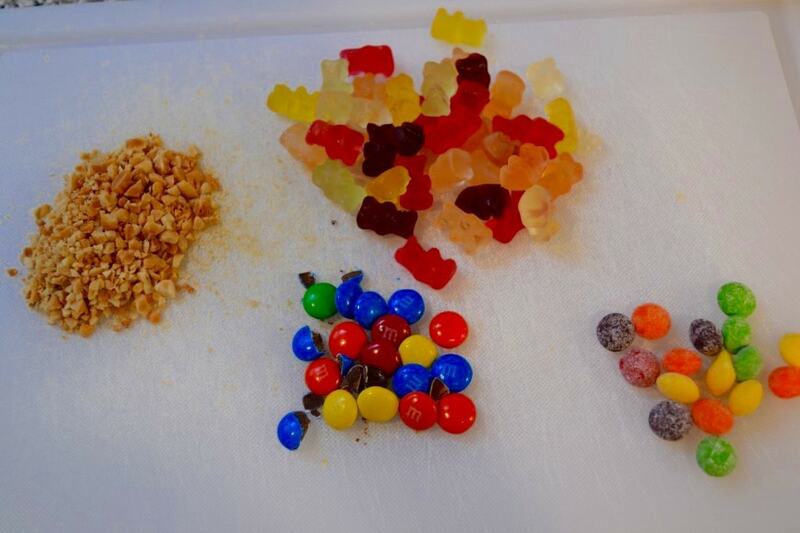 assemble your choice of toppings (Butterfingers, Skittles, Gummy Bears, peanuts, M&Ms, etc) and place them in piles on a cutting board. Crush up the Butterfinger and peanuts with a knife. 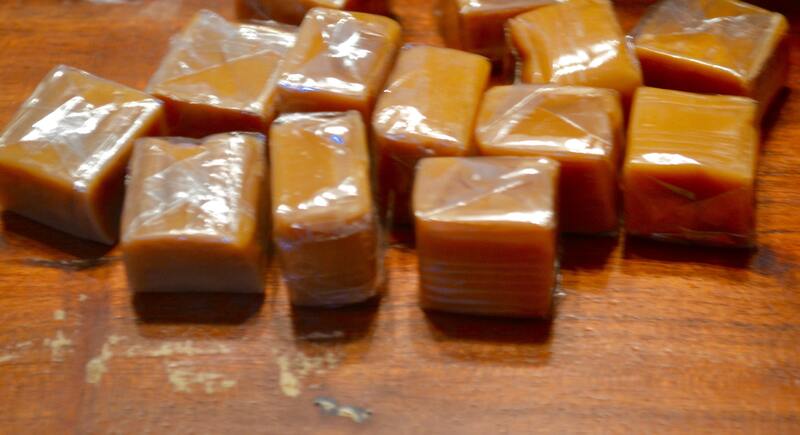 unwrap caramels and place them in a saucepan with two tablespoons of water. Place saucepan on the stove. Cook on medium heat, stirring frequently until melted. Time with our kids is precious. It can seem overwhelming to find ways to spend quality time with them. 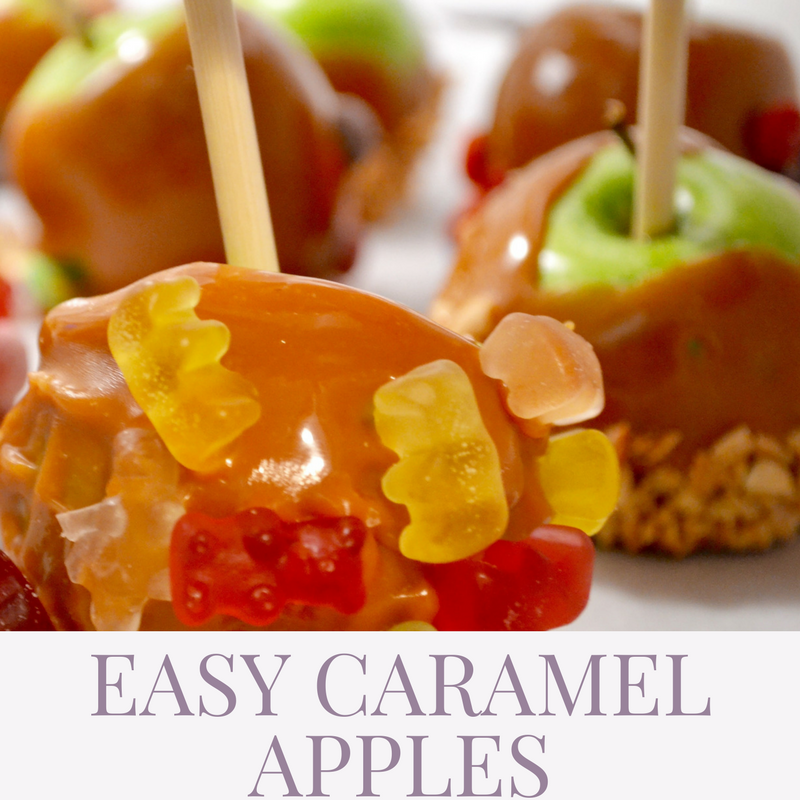 Making caramel apples is a simple and fun way to involve their little hands and minds and can become a lovely Fall tradition that you can enjoy with them year after year. I hope you’re inspired to do something like this with your kids this month! Welcome to Honey & Figs! I’m Lisa. 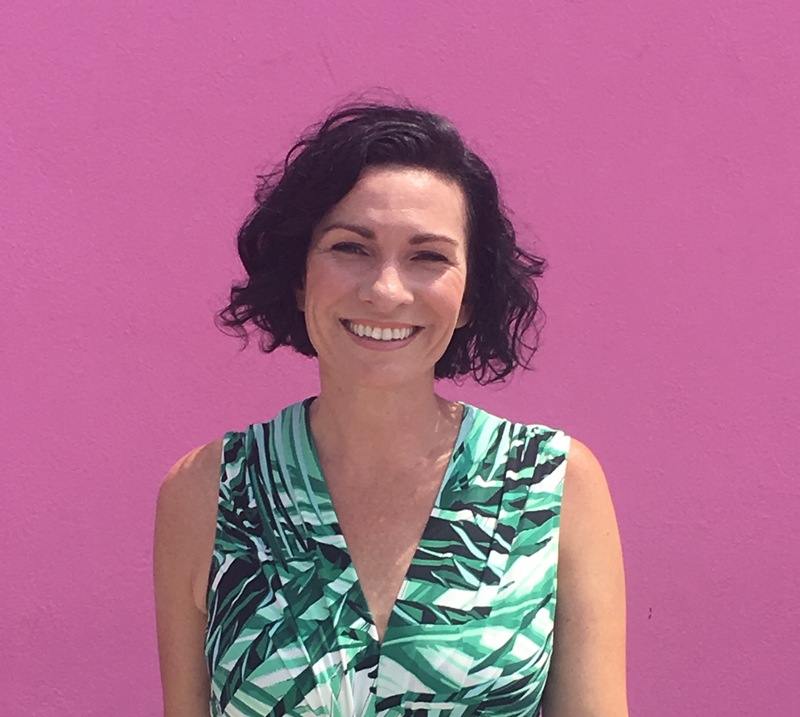 I love helping people find ways to live more abundantly. Whether that be freeing up your time or freeing up your mind. You can read more about me here.